Having married into a family that started and still owns an independent telephone company in Ontario, The Westport Telephone Company (WTC Communications), the concept of the telephone and its impact on society is fascinating. While attending university having worked for both WTC and for NBTel (now Bell Aliant) the impact of the telephone on society has always been of interest. In today’s communication environment of Bridgit, Skype, Facetime, and smartphones it is clear to see how the telephone has impacted communication. Society has become dependent on the instant communication and the access to those on the other end. It is easy to forget that before the telephone, communication over a distance relied on the written word. According to the article, The Invention that Changed the World (“Clear Lines”, Clear Creek Mutual Telephone Company cooperative’s newsletter, July 1996) the word telephone comes from the Greek root words meaning “far speaking”. The term was in use before Bell’s patented telephone of 1876. 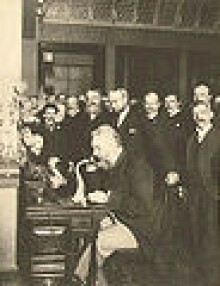 The invention of the telephone provided a new form of communication. Immediate conversations over distance became a reality. This meant that news could be shared personally and instantly over a great distance through a networked society. Photo by Steve Linster. Public Domain License. The telephone was not initially seen to have much potential as referenced by the Elon University School of Communications (Past Predictions about the Future of the Telephone (1996), “President Rutherford B. Hayes to Alexander Graham Bell in 1876 on viewing the telephone for the first time: “That’s an amazing invention, but who would ever want to use one of them?” Many thought that the telephone was a fascinating experiment or toy but not something that would become commonplace. Of course now we can see how valuable the telephone has become in business and in our personal lives. With letter correspondence, courier, and newspaper the speed of written communication continued to grow. During the era before the telephone the telegraph was the fastest way to communicate over distance. Before that “information traveled no faster than a horse or a sailing ship; afterwards it moved at the speed of light (Nye, 1997, p. 1073). While there was an incredible increase in the speed of communication the use of the telegraph still contained a delay where the sender had to wait for a written response from the other individual (Burke, 2005). According to Burke (2005) the telegraph was not in direct competition with the mail service and letter writing. The telegraph required filling out the message and relying on the operator to send the message. A letter written at home was much more convenient than sending a telegram. Also, since the telegram was costlier than a letter messages were kept short, while letters could be much longer. 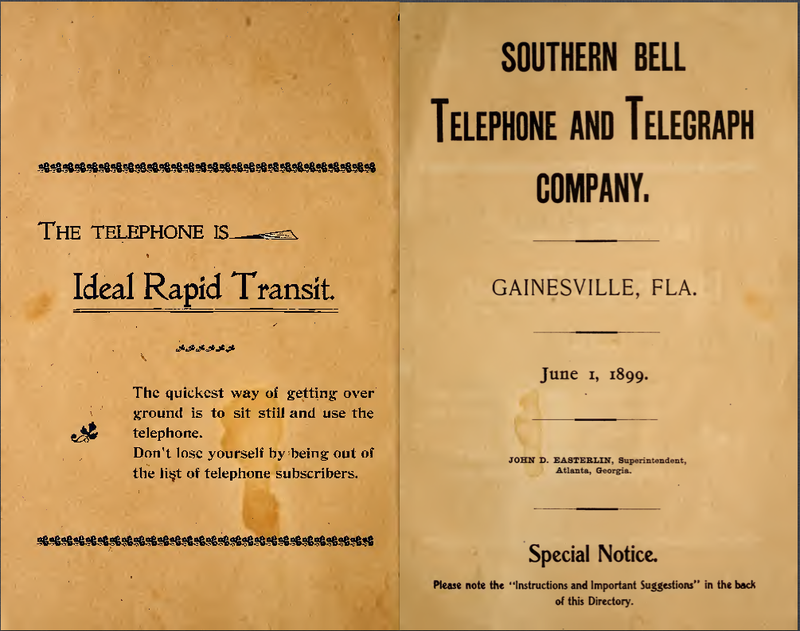 By the time the telephone became commonplace and costs were reasonable, the telephone quickly replaced the telegram and the written letter for communication in business and personal use. Burke (2005) does argue that the letter does allow for a record of the communication that the telephone (unrecorded) does not. This lack of permanence is similar to conversations in oral societies described by Ong (1982). Ong (1982) notes a return to a ‘communal sense’, which through the telephone creates a renewed sense of the present similar to previous oral cultures. Having left the present moment and the hear-and-now that was common in oral cultures with the use of print there was a loss of immediacy that oral cultures experienced. The telephone and other technologies have created a return to immediacy back in communication, what Ong (1982) referred to as “the age of ‘secondary orality’ (p. 133). This ‘secondary orality’ while bringing audiences together also increases the size of the groups (Ong, 1982, p. 134). Marshall McLuhan’s (1960) work and study of print noted that the typewriter cannot “keep pace with the acceleration of information movement created by the telephone and electronic media” (p. 567). McLuhan (1960) goes on to say that this leads to decentralized workspaces that can be attributed to telecommunications. According to Nye (1997) telecommunication has “annihilated space and time” (p. 1082). This refers to the instantaneous communication available via the telephone and telegraph. People are no longer cut off from those across a distance. They can participate in synchronous communication without being physically present. Nye (1997) recognized that the telephone was not only used for information and business. It is also a tool for sharing emotions, at times individuals may chose to do so over the phone rather than by visiting. These conversations would be quicker than a visit. The telephone helped to create and bring a network of people together, but not in person. Nye (1997) indicated “the telephone was used to mitigate loss of contact caused by increasing demands on people’s time” (p. 1085). The telephone changed work and business practices. As users became more familiar with the device it was important to learn how to use the telephone effectively. The directory below contains tips on telephone etiquette. It should be noted that similar lessons are now given on the proper use of email and social media. While there is a nostalgic feeling and excitement when receiving a letter in the mail it is often not as efficient as a phone call. Letters can be very personal in nature, but they are not the same as actually hearing the voice of the person on the other end. A phone call can create the same emotional responses as a receiving a letter, when we hear it ring we might be excited or nervous. We may be pleasantly surprised to hear an old friend’s voice or the laughter of a child. These experiences cannot be replicated in a letter. Letters have been used to study the history, culture, science and politics of many cultures. While this has been the tradition it would seem that fewer people are writing letters as often as they did just a century ago. With the creation of the telephone and newer technologies it is likely that blogs, tweets, wall postings and videos will be what is left behind for future generations to study. As an example of this, the video below, “Far Speaking” is a look into the past. In the future it is likely that one might see videos like this mixed together showing vlogs, blogs, and videos of our lives rather than a collection of our personal letters. 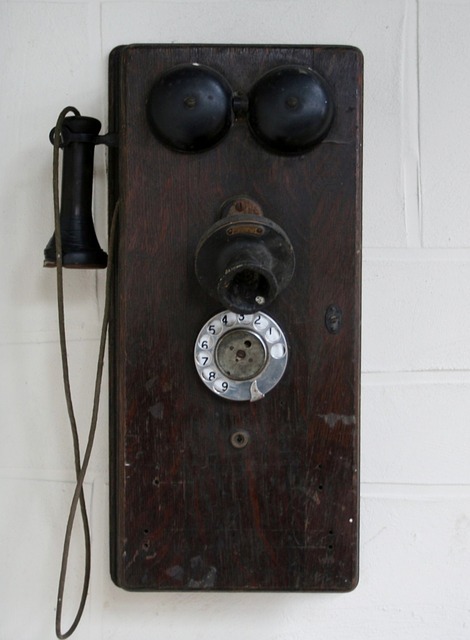 “Far Speaking” a look at the history of the Telephone, licensed under Creative Commons. This entry was posted in Research Paper and tagged Telephone, W. Ong. Bookmark the permalink. Very interesting topic. I once stayed at Alexander Graham Bell’s house in Nova Scotia, which has been converted into a B&B. Lots of doilies. It’s interesting how revolutionary the telephone was in the “annihilated space and time,” but it was not enough utterly change how we work. Working from home would seem to still be a fantasy for most, despite the affordances that telephones bring. I suppose a paper-based society still heavily relies on proximity to be productive. The combination of phones, video chats, emails, and online data processing has certainly allowed many more people to work from home, but I wonder if a true working from home revolution will ever occur (excluding certain jobs, of course)? Will it just take time, cultural change, or are we still missing some important piece of technology?